Welcome to the 2018-19 Season – A musical journey like no other! Time flies like an arrow as Orion turns 26! After 25 extraordinary years we continue with season 26 – a journey that will take you from Vienna to France, Germany, Russia, Spain, Holland and, last but not least, the United States. Treasured masterpieces, rarely heard gems, contemporary cutting-edge women composers, and amazing guest artists promise a thrilling season. 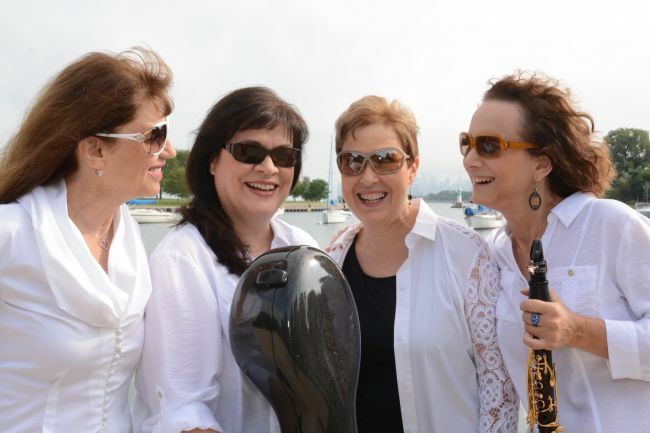 Throughout the years, Orion has been called one of the best and most steadfast chamber music ensembles in Chicago. Every year, we put together our programs with a lot of love and care so that you, our audiences, can experience the intimacy and magical collaborations that are the hallmark of great chamber music. This season's repertoire is both light-hearted and provoking, new and old – connecting all of us through the power of music. We look forward to sharing inspiring performances with each of you, and invite you to join us and be part of our continuing journey! Read the Q&A with Orion cellist Judy Stone in our April e-newsletter. Check out a Q&A with Orion pianist Diana Schmück in our March e-newsletter. Read a review of Orion's Sept. 23 concert, by Chicago Classical Review. Third Coast Review published a major feature on Orion— a look back at our history. The Chicago Tribune interviewed Ensemble members Kathryne Pirtle and Diana Schmuck, as well as frequent guest violist Stephen Boe, for a story published before our season-opening concerts. Read the article here. Check out Orion's September e-newsletter - a Q&A with Orion clarinetist, executive director and co-founder, Kathryne Pirtle. Read a Q&A about the guest artist on our November concert series, cellist Ian Maksin. Orion violinist Florentina Ramniceanu is featured in a Q&A in our November e-newsletter.